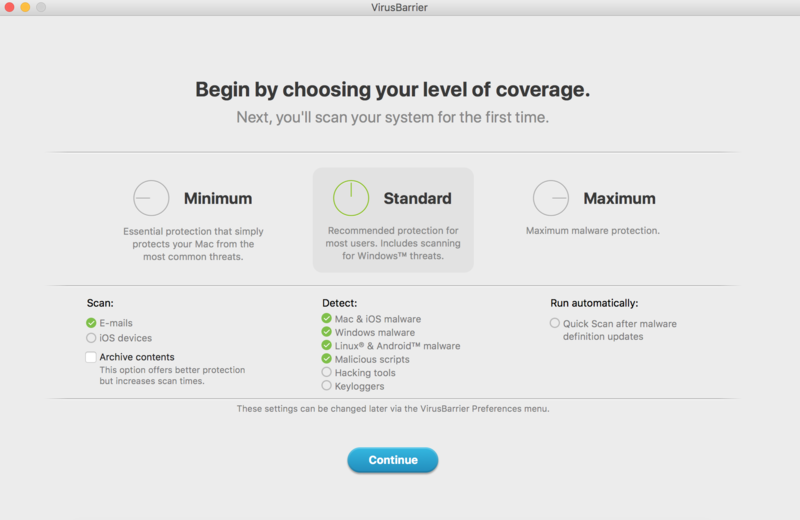 The VirusBarrier X9 Setup Assistant will appear once you install and launch VirusBarrier X9 for the first time. You will have the option to choose your level of coverage based on your needs. 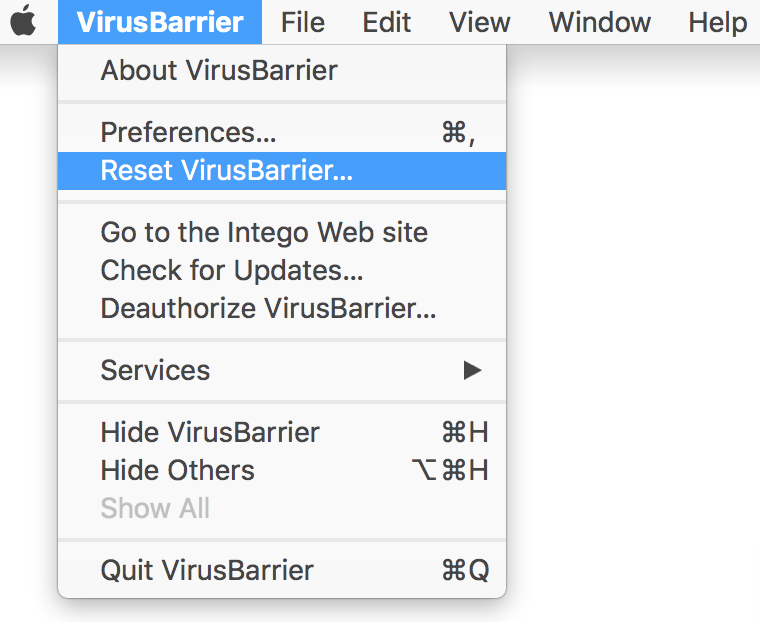 When you click the Continue button, VirusBarrier's settings will reflect your choice. Please note that when the Setup Assistant window appears, the Standard level of coverage will always be highlighted by default. This does not imply that your level of coverage has always been set to Standard.